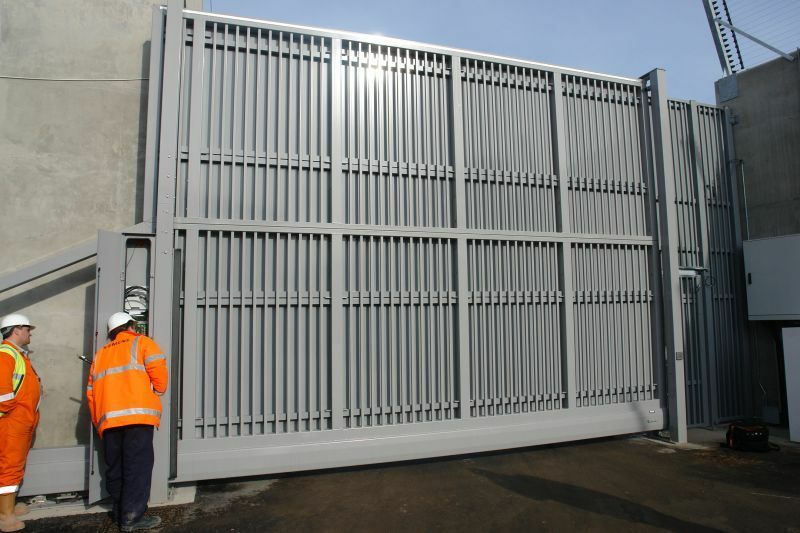 This 6000 mm wide clear opening x 5000 mm high Inova industrial specialist sliding gate 400 ESI Model fully automatic, complete with integrated pedestrian gate is finished in a signal grey (RAL 7004) alloy sheeted surface and is designed to prevent terrorist attacks, intruder’s entering or seeing into the Olympic compound. This automatic gate comes complete with all safety edges, key activated switches, remote controls, soft starts and inoflex special controls. The gates are made up of RHS vertical infill bars with alloy sheeting to give total vision block. Inova automatic Gates worked closely with the main contractor’s “EDF Energy & Siemens” on this Olympic project in order to meet there design and site requirements, as well as providing a fast and efficient on-site installation without any hassle.